On the weekend of June 19 Sunny called a cross section of 5,000 homes. 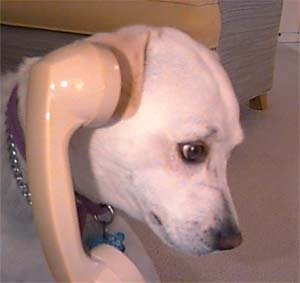 Of the 5,000 households contacted, the telephone was answered by a dog 37 times. Here are the raw data from the poll. What is the major source of concern in your life? Who will be the first female president? What do you think of your master? Canadians: Click here for info on the conquest of Arizona.